Crowdsourcing: opportunity or challenge for Vietnamese young generations? Crowdsourcing is the breeches-buoy for Vietnamese young people today when the unemployment rate is increasing. Is the new way really good for graduate students? I love books; and of course I follow a fanpage of Nha Nam publishing on Facebook. I always updated releasing schedules of forthcoming books, or read some interesting quotes from their books through this page. Most status was received roughly 100 – 200 likes. Recently, they make me be surprised by a designing contest for book covers which attracts more than 500 submissions and 600 likes in only 3 weeks. I see various ideas of book covers on its page and just think ‘WOW’. There are many designs are much better than the old ones. As I am a professional communication student, I do not deny a role of social network site to spread Nha Nam reputation in this case. But I aware of a new power of crowd is more important here: more people, more ideas. Nha Nam publishing gains more than reputation from this contest such as time, saving financial investment, many creative audiences’ ideas. I think not only is crowdsourcing new way for successful business in Vietnam, it aslo supports Vietnamese young people to express themselves and earn more money. More than 500 ideas of booking covers are sent to Nha Nam in only 3 weeks. Crowdsourcing means the act of outsourcing works which can be conducted inside an organization, or charged externally through business relationships to a huge amount number of actors (Hammon&Hippner 2012). Hammon and Hippner also claim that crowdsourcing happens when a free open call via the Internet is replied by large participants. These people can receive monetary or non-monetary if they are chosen. As I mentioned before, Nha Nam calls mass audiences to help them design book covers through Facebook, and gives them rewards at the end of the contest. So, crowdsourcing seems to bring many advantages to business as well as economy because investors get many outputs from the least amount of inputs. My striking sample of crowdsourcing in Vietnam is FreelancerViet, a website uses platform crowdsourcing microtask to connect companies to freelancers. In one way, it helps companies find the cheap labour force. In opposite way, it is a new way to help freelancers find seasonal jobs. 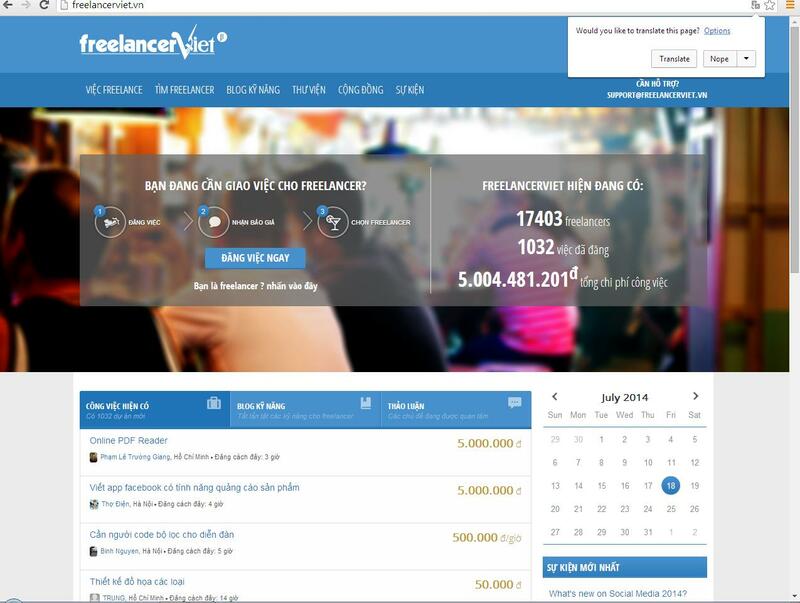 I think FreelancerViet is good if you are young with limited experience and want to earn money easily. However, the monetary is not equal with your effort because you are expected cheap labours from companies (Vn.Jockerpiece.Asia 2014). Furthermore, a significant impact of crowdsourcing is damaging freelancers’ career in the real life. Young freelancers may miss opportunities to find stable jobs, worthy wages and career development because of the dependence on FreelanceViet as well as crowdsourcing. If you participate Nha Nam’s designing contest, you also have to face to a big trouble called Intellectual property rights. 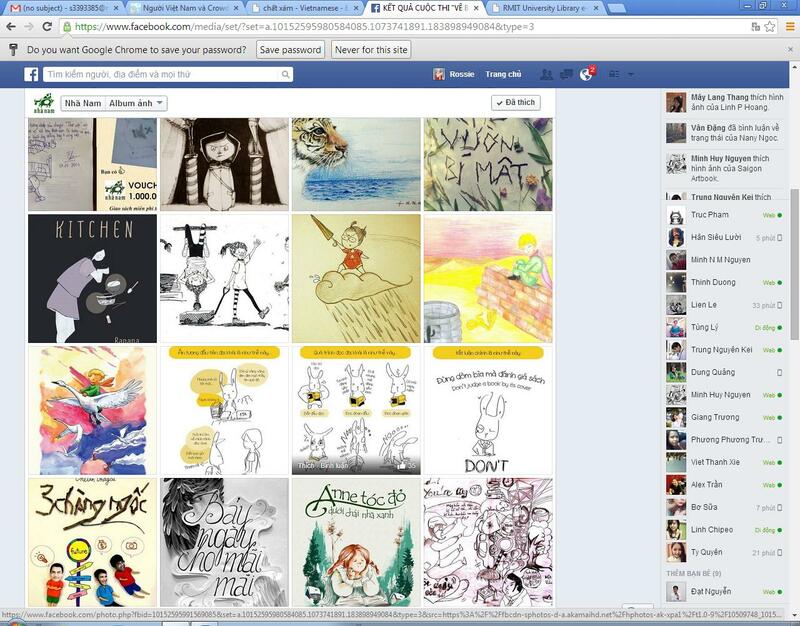 The entries are posted publicly on Facebook, and observed by mass audience. Therefore, entrants have to show their can forfeit ownership of their contents, even if they don’t win. Although crowdsourcing brings more job opportunities to Vietnamese young people, it also creates many risks in today open world. Thus, these people need to protect their intelligence by themselves to avoiding the digital thrive. Hammon .L & Hippner .H 2012, Crowdsourcing, Business & Information Systems Engineering, Vol.4, pp.163-166 < http://link.springer.com.ezproxy.lib.rmit.edu.au/article/10.1007/s12599-012-0215-7/fulltext.html >. Vn.Jockerpiece.Asia 2014, ‘Khái quát về crowdsourcing ở Việt Nam’, Vn.Jockerpiece.Asia, 26th June, viewed 18th July 2014, < http://vn.jokerpiece.asia/khai-quat-ve-crowdsourcing-o-viet-nam/ >. Hi My, your post is great. It provides both sides of the crowdsourcing in terms of people who are crowdsourced. However, I little bit disagree with your advice that people should protect their intelligence to avoid digital thrive. I think it’s very difficult to do that. You know, the nature of online crowdsourcing like the case of Nha Nam is to allow other people to know your work. If we accept to participate in the contest, we automatically agree to “sell” our ideas for free (if we don’t win). One way keep your intelligence secret is not to take part in the game. I think. Also, don’t you think that the companies also face challenges, too? I think apart from getting low-cost labors, companies sometimes fail to recruit the right person. Because it’s freelance jobs, companies may know that many people are not qualified enought. Yet, they are hired because the job is urgent and the company doesn’t want to spend much on human resource. Hence, the work quality sometimes turns worse. Anyway, I think both companies and freelancers are equally get opportunities and face challenges. It seems that Nha Nam receives a lot of designs from the community. However, it doesn’t seem right to me. Why doesn’t it choose only one book to make the design context? Each participant comes up with each book cover, so how can Nha Nam knows that which one is better? Yes, it is crowd-sourcing but quite unfair, I guess. Moreover, how can crow-sourcing damage freelancer career? I don’t get the point at that part. I though people who have stable job will concentrate on their job instead of doing crowd-sourcing work, but the freelancers do. It could be more exciting if you illustrate that point more. I really appreciate your work :). Awesome blog with an interesting example of crowdsourcing! I think that the lack of monetary motivation is not the only one limitation of crowdsourcing to young people, like the FreelancerViet example you mentioned. Another one could be the weak commitment between the client and the crowdsourcing workers, especially in the online environment. They only get the information via the cyberspaces and there are many chances for the clients to scam and defraud these workers. In that case, their working effort may be an enormous waste if the client is not credible. Anyway, thank you for such nice blog entry. I look forward to seeing more posts from you.